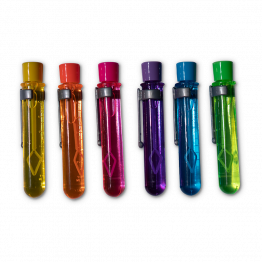 Metallic, hypercolour, glow in the dark or classic blue or pink, with so many choices it’s hard to pick just one – so why not grab them all?! 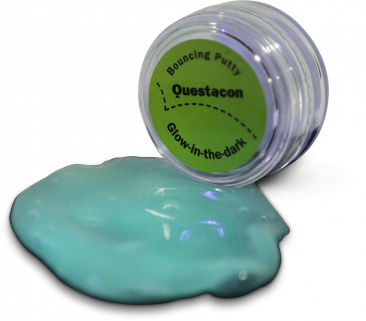 With eight unique and fun types, everyone will love the Questacon Bouncing Putty! 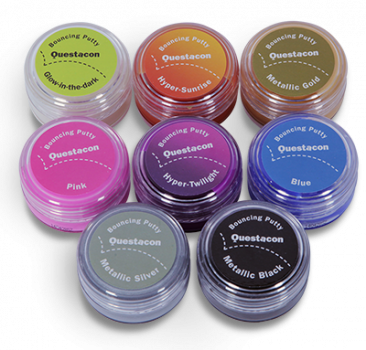 Presented in its own storage container, this colourful putty will provide you with hours of fun. 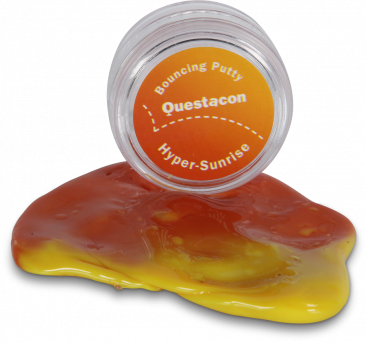 Whether you stretch it out sloooowly, break it suddenly, or even roll it into a ball and bounce it, the possibilities of what the Questacon Bouncing Putty can do are endless! 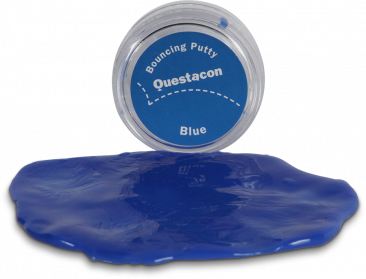 Great for budding sculptors, the putty is easy to mould into countless shapes, designs and creations. 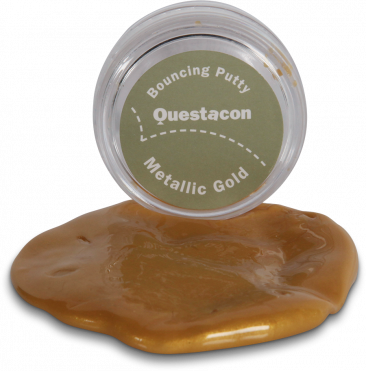 The invention of putty came about almost by accident during an attempt to create a synthetic rubber material during rubber shortages in WWII. 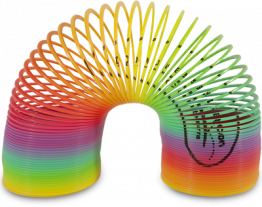 The unusual physical properties of the viscoelastic liquid silicone enables the putty to form into a free flowing viscous consistency over a long time or become elastic and break over a short time. This created a substance that was easy to mould and bounce. Another unique characteristic of the properties of the putty was its adhesiveness. This was demonstrated when it was taken in to the Apollo 8 in 1968 and used by the Astronauts as an adhesive to secure their tools. 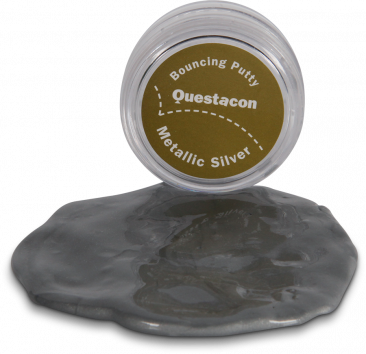 This non-toxic putty should be kept away from the face, heat and porous materials. Not suitable for children aged three and under. 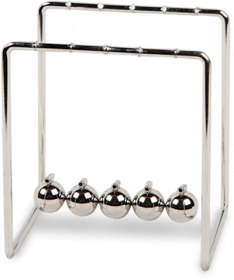 This product also makes a great classroom teaching resource. 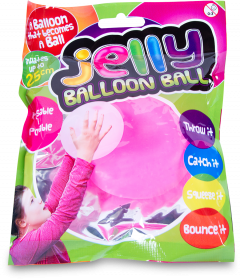 This product can be used in classroom activities that align with the Australian Curriculum.